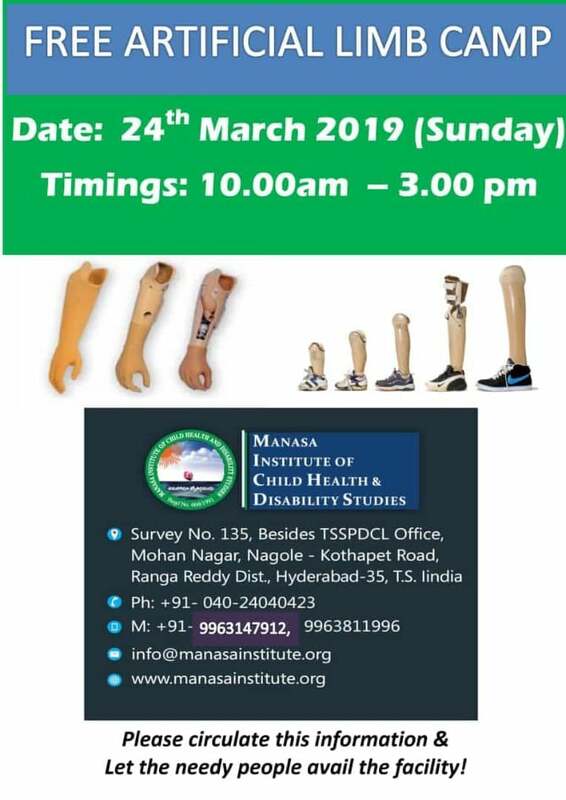 Manasa Institute of Child Health and Disability Studies (MICHADS) endeavors to promote and strengthen child health and comprehensive disability rehabilitation services to transform the lives of children, persons with disabilities and their families through service delivery, training and research programs. The organization has all the facilities to provide facility based and community based child health and disability rehabilitation services and takes up contextual training and research programs. Date: 24th March 2019 sunday. Address: Survey No 135, Besides TSSPDCL Office, Moan Nagar, Nagole- Kothapet Road, Ranga Reddy Dist Hyderabad35, TS India.